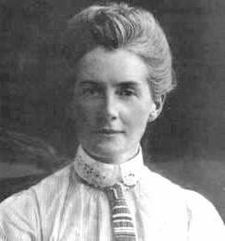 Edith Cavell was a British nurse celebrated for saving the lives of soldiers from both sides of conflict without discrimination and in helping 200 Allied soldiers escape from German-occupied Belgium during the First World War. She was arrested, court-martialled, found guilty of treason and sentenced to death. Despite international pressure for mercy, she was shot by a German firing squad. Edith Cavell is known for saying "patriotism is not enough" and "I can’t stop while there are lives to be saved."